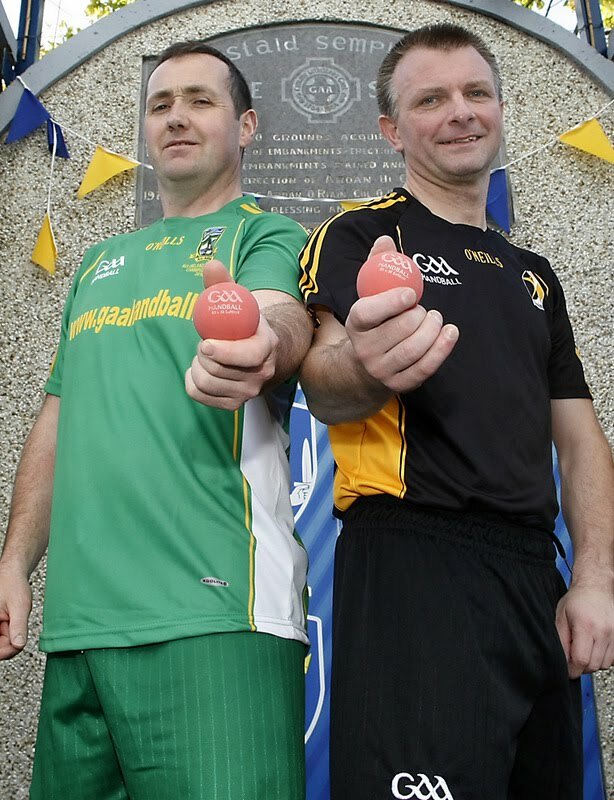 "Big Alley with The Masters"
GAA Handball presents the first ever 60x30 Coaching Clinic with 2 Masters of the game on Saturday 30th July in Kells Handball Club from 3pm to 6pm. Michael "Ducksy" Walsh and Tom Sheridan two of the great 60x30 players will be on hand on the day to coach and offer their advice and tips and tricks picked up from a long career in the big alley. This is a fantastic opportunity for coaches to learn the big alley skills from two of the games legends and to bring these skills back to their clubs. Entry for the clinic is just €10 and the first 50 entrants will receive a free GAA Handball jersey and a Coaching DVD so enter early to avoid disappointment!! Entries can be sent to 60x30 Coaching Clinic, GAA Handball, Croke Park, Dublin 3 by Wednesday July 27th.